His Eminence Abune Yesehaq was born on JULY 27 1933 in Adwa, Ethiopia, from Grazmach Mandefro and Woizero Welete Meskel. Laike was born to an Orthodox Christian family, attended Christian school, and joined the priesthood. He was one of the clerics fortunate enough to be tutored personally by Emperor Haile Selassie I, the titular head of the Church. In October 1959, the Ethiopian Orthodox Church officially established a branch in New York; Abba Laike Mandefro, as he was then known, was sent there in 1963 and was given the task of finding a more suitable building for the Church, which was purchased in 1966. Mandefro then returned to Ethiopia to seek assistance for renovations; unfortunately the building was taken by the New York City authorities in his absence. With the assistance of H.I.M. Emperor Haile Selassie I, and the Ethiopian consulate in New York, Mandefro returned to New York City and purchased another site for the Church in 1969. In 1970, he was sent to Jamaica where he began to minister specifically to the Rastafari community, at the official invitation of Rasta elders including Joseph Hibbert, who was in turn named as a “Spiritual Organizer” by Mandefro. 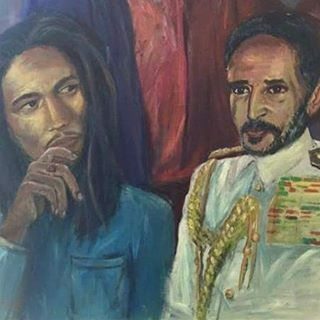 Many government officials and others in Jamaica were deeply disappointed that Abba Mandefro defended the Rastafarians’ faith on many occasions, and that he baptised thousands of them, pointedly refusing to denounce their faith in Haile Selassie as the returned Christ. On the other hand, a large number of other Rastas were likewise disappointed because he would not baptise them in the name of the Emperor, but only in the name of Jesus Christ. 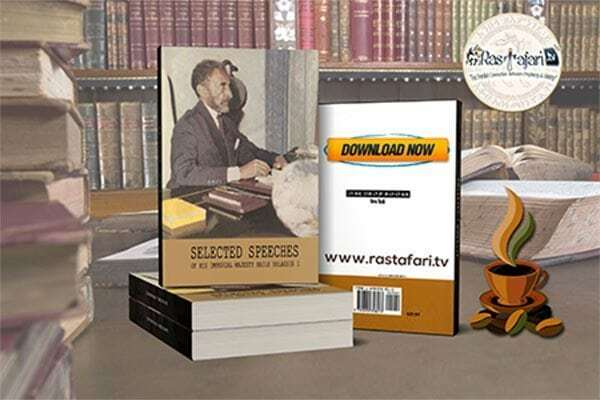 This however did not disturb those Rastas who viewed Christ and Haile Selassie as one and the same, and readily underwent baptism at the hands of this man who had been sent from Ethiopia by their living God. Only after the Marxist Derg Revolution that toppled Haile Selassie and appointed their own Patriarch over the Church, did the requirement become enforced for prospective baptisees in Jamaica to renounce his divinity and cut their dreadlocks. In the 1990s, a schism happened in the Orthodox Church when the new government of the EPRDF took power in Ethiopia and appointed their own Patriarch, Abuna Paulos. Abuna Yesehaq refused to recognise this political change, pointing out that according to the ancient Church canons, the Church leaders are to remain in office until they pass away, and cannot be dismissed or reappointed by any secular government. However, the New York City authorities took the side of the newly appointed Patriarch, and police interrupted a Church service on 9 August 1998 with guns drawn, using profanity, handcuffed children, and took possession of the Church in the name of Abuna Paulos. At the age of seven, he was enrolled in Abune Gerima Monastry, where he learned reading, writing and comprehension skills in Geez and Amharic. He also acquired the necessary hymnal and liturgical knowledge and skills for his future spiritual service. He received the rite of a monk, and was ordained a priest by the Archbishop of Mekele at the time, Abune Yesehaq. He served for ten years at the Monastry of Abune Gerima for ten years. Abune Yesehaq continued his theological study by enrolling in several distinguished monasteries where renowned scholars were teaching. He received a Diploma from Holy Trinity Theological College in Addis Ababa. Upon graduation he started to teach Moral, Religious educations, Amharic under the Ministry of Education and Fine Arts in Ethiopia. He taught for a total of five years at Gebeyehu School in Gamo Gofa and Atse Libne Dengel School in Debre Zeit. He established the Ethiopian church in Jamaica on Maxfield Avenue, Kingston 13 on in May 1970 against all odds. And it is because of his patience, perseverance and hardwork that many people in Jamaica were married baptised and given their Ethiopian names in one of the oldest African Christian churches on earth, if not the oldest. After earning his Masters Degree, he was recalled to Ethiopia and was appointed as Secretary to His Holiness Abune Tewoflos, who was at that time was Assistant Patriarch. After two years of service in this capacity, he was reassigned his former duty as Administrator of the Ethiopian Orthodox Church in the North America, the Caribbean Islands, and Jamaica, by His Holiness Abune Basilios, the first Ethiopian Patriarch of the Ethiopian Orthodox Tewhado Church. Abune Yesehaq later joined his Alma Mater, Holy Trinity Theological College, as Dean of Students for two years. After several years of dedicated service to his Church and country, He was awarded a scholarship by the Patriarchate and the Government of His Imperial Majesty Haile Selassie I, for further studies in the United States of America. He enrolled at the University of Buffalo and the Vladimir Orthodox Theological College and received a Bachelor Degree in Divinity in 1966. Upon his graduduation, he was appointed as Administrator of newly established Ethiopian Orthodox Tewahdo Church in USA, Caribbean Islands and Canada. Abune Yesehaq enrolled at the New York Theological Seminary, while fulfilling his duty as administrator, and earned a Masters Degree in Religious Education, in 1968. The untiring Abune Yesehaq resumed his expanding Church responsibility and, at the same time enrolled in Princeton Theological Seminary and earned a Maters Degree in Systematic Theology, in 1973. He continued his study, but was called again to Ethiopia, just a year short of completing his PHD study. Upon his arrival in Ethiopia, in 1979, the prominent Ethiopian Orthodox Church figure in the west, known as Aba Laike Mandefro, was ordained a bishop by His Holiness Abune Teklehaimanot, and was made Archbishop of the Ethiopian Orthodox Tewahdo Church in Western Hemisphere, a distinguished leadership he held until the day of his final departure on December 29, 2005. 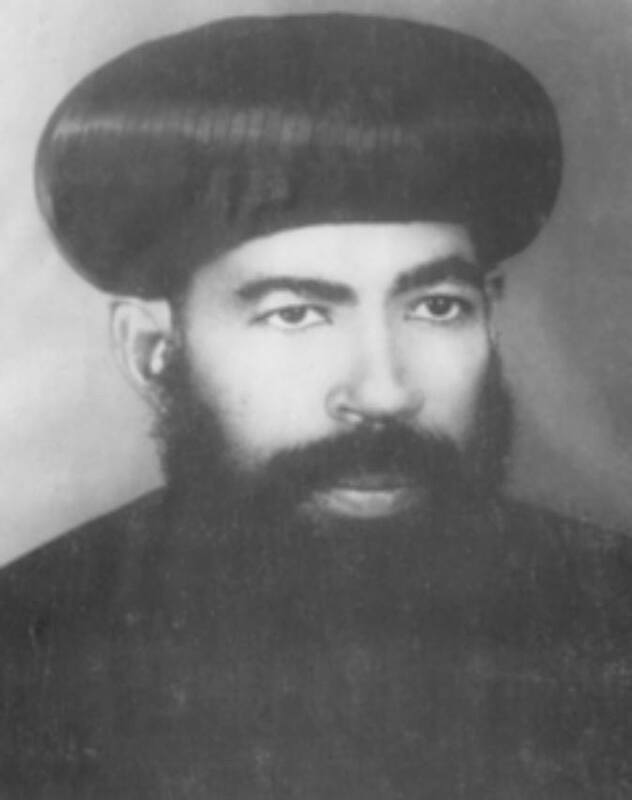 Abba Mandefro also founded many Orthodox Churches throughout the Caribbean and elsewhere, and received the title “Archbishop Yesehaq of the Western Hemisphere and South Africa” in 1979. On 4 November 1980, he baptized world-renowned Rastafari musician Bob Marley, then suffering from terminal illness, into the church. His Eminence Abune Yesehaq devoted his entire life in spreading the word of God and the teachings of the Ethiopian Orthodox Tewahdo Faith. He has built lasting bridges and a wide network not only within his own Church Community but also among various religions across the world. · His Eminence Archbishop Yesehaq through his wise leadership and devotion has successfully established and or helped establish several parish churches in the United States of America, Canada, many Caribbean Islands (Jamaica, Trinidad and Tobago, St. Thomas, St. Kitts, the United States Virgin Island and Bermuda) Guyana, South Africa and United Kingdom. Today the number of parish churches has increased to at least seventy (70), starting with the Church in the Bronx, New York, established by His Imperial Majesty Emperor Haile Selassie I in the early days. · Abune Yesehaq, who was deeply concerned about the well-being of children and the elderly, has built two education centers for children and a retirement home attached, in Jamaica. · Abune Yesehaq baptized at least fifty five thousand non Ethiopians into the Ethiopian Orthodox Tewahdo Faith in North America, the Caribbean Islands, and South Africa. Forty five thousand of these were Ras Taferians, who used to worship Ras Teferi (His Majesty Emperor Haile Selassie I). Through the untiring efforts of Archbishop Yesehaq, the Faith of the Ethiopian Orthodox Church is now rapidly spreading in the Caribbean Islands, North America and elsewhere. Abune Yesehaq, who knew right from the beginning the need for well-educated clergy in large numbers, provided adequate training in English, Geez and Amharic, and ordained at least 200 of the new converts as deacons and priests. These deacons and priests are now are successfully serving throughout the Archdiocese. 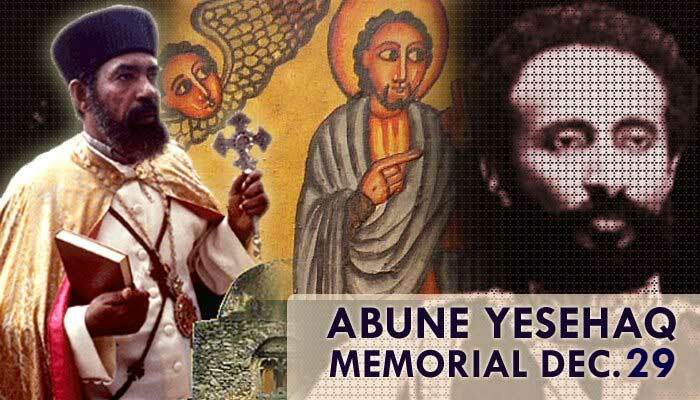 Abune Yesehaq served the Ethiopian Orthodox Tewahedo community for over three (3) decades. History will remember him for his dedication and unending service. He was a father, counselor, teacher, healer, spiritual advisor, pioneer, author, a humble Ethiopian monk who was in the western hemisphere on a mission. In addition to providing religious education, His Eminence also organized programs for the new converts to learn about Ethiopian history, culture and language. § Coalition of Black Clergy in New York. The great religious leader who created the momentum for spreading the Ethiopian Orthodox Tewahedo Faith, by providing creative, selfless and spiritual services is the man we are honoring today: His Eminence Abune Yesehaq, Archbishop of the Ethiopian Orthodox Tewahdo Church in the Western Hemisphere. His Eminence Archbishop Yesehaq had departed to an everlasting peace of the Lord, on December 30, 2005. May God rest his soul in peace, and help us carry on his legacy of love, peace, unity, and evangelism.